We engage in using the finest raw materials and modern machines in their manufacture that is carried out in compliance with the set industry norms. Owing to this, its effectiveness, quality and light weight is highly appreciated in the market. 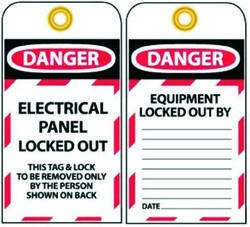 We are one of the leading manufacturers and suppliers of this quality range of Lockout Tag. Manufactured using the finest quality of raw materials, it has a longer lifespan. Further, it has a high adhesive strength. Used for the purpose of restricting entry, its demand in the market is quite high. Further, it is quite reasonably priced. Made available in the market at the best rate possible, the offered range of Gate Valve Lockout has a high demand in the market. Used for the purpose of restricting operation of a specific valve, the offered product is known to be one of the best options available. Manufactured as per the set industrial norms and guidelines, its quality never deteriorates. 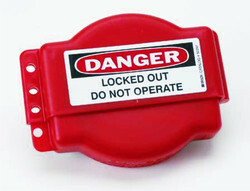 Looking for Loto Kit ?